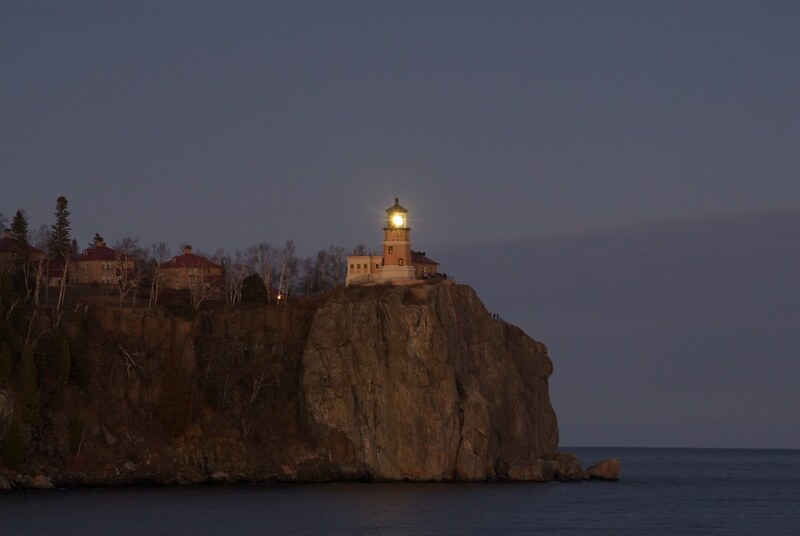 The photographer says: This year marks the 100th year of the first lighting of Split Rock Lighthouse. As part of the celebration, the Minnesota Historical Society has been lighting it for an hour or two on the first Friday of each month. I was fortunate enough to be able to be there for the November lighting. I have to say, seeing the lighthouse lit up is absolutely spectacular and worth it if you ever get the chance. These photos were taken from Ellington Island, which you can sometimes get to from the Pebble Beach on the state park side of Split Rock if the wind and waves have left enough rock laying around to walk across. For this photo, I had to wait until the lens was pointed straight at me in order to get the starburst effect from the light. The lens makes a complete revolution every 24 seconds. It has two flash panels, so the beam would sweep across me every 12 seconds.